Queensbury, N.Y. – January 9, 2019 – Hudson Headwaters Health Network, a nonprofit health system of 18 community health centers in upstate New York is pleased to welcome Amy Bloom, as executive vice president of network strategy. In this role, Bloom will work closely with the health center operations and leadership team to develop and direct the implementation of the organization’s strategic plan. Bloom will also lead the marketing and communications efforts of the organization and assist the leadership team with special projects. Bloom comes to Hudson Headwaters with 18 years of healthcare and nonprofit experience, most recently working at Alliance for Better Health where she served as chief operating officer. Prior to her work at Alliance, she served as the senior director of special projects at Planned Parenthood Mohawk Hudson where she oversaw a capital campaign to purchase and renovate a new health center in Glens Falls and worked with leadership to improve processes for using health information technology to improve and track quality measures. “Amy’s background in public health, prior work and volunteer experiences with many of our current partners, and local ties will serve her well in her new role as the network weighs strategic options. She will also bring additional leadership bandwidth to help with managing the network’s strategic plan and direction,” said Dr. Tucker Slingerland, chief executive officer. 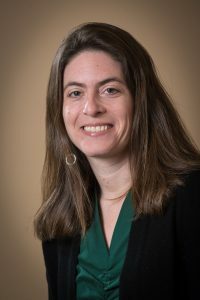 Bloom graduated from West Virginia University where she received her Master of Public Health, with a focus on bioethics and social epidemiology. She has worked in a variety of health care and nonprofit settings in the Capital Region, Boston, MA and Washington DC. Bloom’s extended family has strong ties to the Adirondacks. She grew up spending summers on Lake George, as did her mother and her grandmother. “I am thrilled to have the opportunity to bring my skills and expertise to an organization that is dedicated to building healthier communities. I am excited to help Hudson Headwaters achieve its mission of providing the best health care, and access to that care, for everyone in the region,” said Bloom.